Uric acid is formed due to the purine breakdown in our body which flows through the blood and reaches the kidneys and later flushed out from the body. However sometimes it remains in the body and its level increases. This situation may create a problem for the body. High uric acid levels in the blood have two main reasons. Either the kidneys are not functioning properly and are unable to flush out uric acid quickly or uric acid is being produced in very large amount in the body. High uric acid levels in the blood is known as hyperuricemia. It forms needle shaped uric acid crystals which accumulates in the joints and causes stinging pain in the joints which results in severe pain, redness, swelling and stiffness of the joints. High amount of uric acid may cause gout hence it is necessary to control the amount of uric acid in the body. Here are some simple and intuitive options to reduce the uric acid levels in the body without any adverse effects. High levels of uric acid can be lowered by keeping the body hydrated. Drink two to three litre of water every day. Appropriate amount of water helps to flush out the uric acid from the body. High levels of acid in the body is known as acidosis. It is related with the uric acid levels in the body. If pH level drops below 7, the body becomes acidic. It is very much necessary to keep the body alkaline. Apple cider helps to increase blood pH and hence reduces the high uric acid levels. Use raw, non-pasteurized apple cider without mixing the water. Fruits such as cherries, strawberries, blueberries and grapes are very beneficial for reducing high uric acid levels in the body as these fruits decreases the swelling. Especially, Cherry contains anthocyanins which helps in lowering of uric acid levels. Consume 10-25 cherries per day. If fresh cherry is not available then opt for cherry juice which is equally effective. Eat citrus fruits which are the great source of vitamin C. Consume at least 500 mg of vitamin C per day as it helps in flushing out uric acid through urine. Stick to low-purine food. Uric acid is derived from breakdown of purines which is the part of our daily diet. Avoid eating poultry, red meat, organ meat, sea food, all types of bean, simple carbohydrate and some vegetables such as peas, asparagus, mushrooms and cabbage as all these triggers the uric acid levels. Include essential fatty acid, low fat dairy products, and complex carbohydrate food in the diet. To reduce uric acid naturally, limit the consumption of fructose. According to a research high intake of fructose increases the level of uric acid. Alcohol consumption causes dehydration in the body. Beer has a high content of yeast. Instead of beer and alcohol opt for wine as it doesn't affect the uric acid level. Baking soda works wonderfully to reduce the high uric acid levels in the body. Add half a teaspoon of baking soda in a cup of water. Mix it well and drink thrice in a day. This will increase the uric acid solubility and it will also dissolve the uric acid crystals. However high intake of sodium needs to be monitored as it may increase the blood pressure. Use olive oil to cook the food instead of vegetable oil or butter. It is a rich source of vitamin E which plays an important role in controlling the high levels of the uric acid. Olive oil will also prevent the formation of excess uric acid in the body. Extract of carom seed is a very popular natural remedy to cure gout and to reduce the high uric acid levels in the body. It has analgesic, antioxidant, diuretic and urinary antiseptic properties. It is also very beneficial in insomnia, nervous breakdown and anxiety. Include high fiber food in your diet such as broccoli, oats, spinach and semolina. Eat antioxidant rich diet as it will prevent the free radicals from attacking the muscle and body organs. Red bell peppers, tomatoes, grapes and broccoli are the rich source of antioxidants. A detail information provided by Dr. Vikram Chauhan. 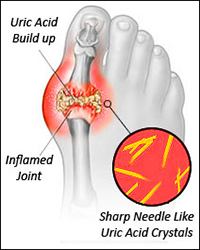 I would request Dr. Chauhan that by applying the above information the level of Uric Acid can be homely controlled or by non-medicated system, however, how the needle shaped uric acid which has been developed on the joints of the toe would be removed from the joints once it has been accumulated there. Hello- I would like to suggest that start with our Gout Care Pack for your problem. These herbal medicines help to manage the gout symptoms. 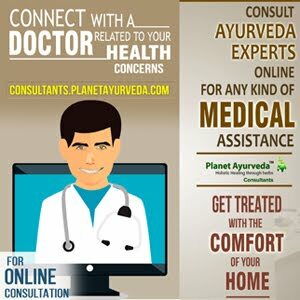 For any queries you can write on this mail ID - herbalremedies123@yahoo.com.